The Highland Railway ran from Perth in Central Scotland north to Inverness and then on up the east coast to Wick and Thurso. 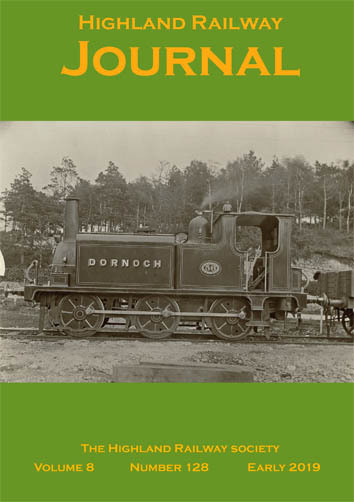 From Dingwall, the railway ran west to Kyle of Lochalsh to serve Skye and the Western Isles. From Inverness, another line ran east to Keith, where it connected with the line to Aberdeen. Several branches were built from this core network to serve nearby towns. The Highland Railway Society caters for all those interested in the Highland Railway from its inception to the current day. Membership currently costs £15 per year, for which you receive a quarterly journal and purchase Society publications at reduced prices. An email chat group encourages discussion between members. As well as being a source of information for modellers, kits and components which are not otherwise available have been produced in both 4mm and 7mm scales. The Society has established an extensive archive of books, photographs and drawings. Many of the drawings and photographs can be viewed on the Highland Council's Am Baile website. Some of the artefacts are on display at Kyle of Lochalsh Station courtesy of the Friends of the Kyle Line during the summer months. The Society is keen to expand this collection either by donation or purchase. 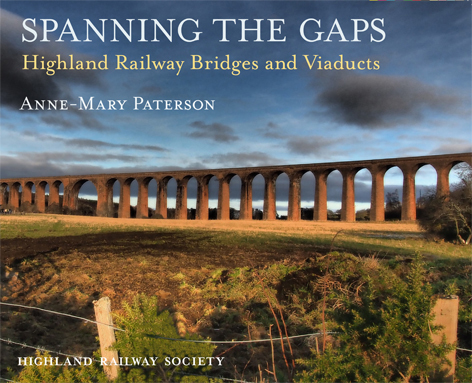 The Society has published a number of books of which the latest is Spanning the Gaps by Anne-Mary Paterson, which is a well illustrated and interesting history of bridging on the Highland Railway. This stunning book has received many favourable reviews, the latest of which has just featured in Scottish Field See the Publications page for a full list and ordering details. The next Farnborough Meeting will be held at the REC (GU14 8JG) on Saturday 27 April. More details to follow.